Are you a heavy phone user ? Playing games and usage of heavy apps is the part of your daily life ? If this is what you have been using your mobile device for, then your phone might be prone to heating. Since you are a reader of Apps Nigam, you have little advantage over others. Here are the apps to cool your phone down. These are the apps that will help in closing the apps and killing the processes when they are not in use. Ultimately saving the computation power of your device as a result of which your phone will start cooling itself down. This list of apps is a legitimate one as I have listed the apps which are available free to download from the official app stores of Google and iTunes. Hence, you can be sure that these apps are risk free and they mean no harm to your mobile device. One of the better apps, when it comes to cooling CPU of the phone is CPU Cooler Master. This app has been exclusively developed for the android users. The working of this app is very simple and easy to understand. It automatically detects heavy resources on the phone and closes them. Ultimately the phone’s CPU usage is reduced and the temperature is reduced. Some of the cool features that come with this app are real time temperature monitoring, dynamic overheating detection, one tap cooling feature and overheating prevention. This is complete free to download and use app. Hence you can download this from the Google Play Store and start using the same. This is definitely one of the better apps to cool your phone down. You might be aware of the fact that the battery of the phone is the main part responsible for the heating of the phone. Since this app works closely in monitoring the battery heating and cooling it instantly, you can be sure that the cooling of your phone also takes place at the same time. The process of this app is very simple. It stops the apps that are draining the power from the battery and save battery life and ultimately working on the health of the battery. The app has a short cut that could be used in order to dramatically reduce the usage of the battery just by a single button touch. It also works when the phone is in the no work mode. You also can schedule the power saving time for particular time of the day. For example when you are sleeping, you can save battery. It also has multi language options and easy to use interface. Cooler master is one of the best battery cooler for android. It clears the CPU usage of the apps, hence it cools down the draining of battery as well. These both process will cool your phone down. It also monitors the temperature of the phone from time to time. While it works on the consumption of CPU power at the back end. You also can easily clear the CPU cache memory and the RAM usage just by simple tap of the button. Since it keeps a check on the battery and phone temperature, it enhances the battery health and life as well. The high consumption of battery and CPU usage apps are on its radar every time. When ever the phone is ideal, it shuts them down as a result of which the phone’s resources are not over used. This is another very effective app when it comes to cooling down your phone instantly. Some people might think that, do phone cooling apps work ? And answer to that question is a definite yes. Since these apps directly work on cutting down the CPU utilization of the ideal apps, it helps in bringing the battery usage down which finally helps reduce the temperature of the phone. Some of the background processes and the apps that keep on running are the easy ones to be eliminated. So you have a quick reduction of the ram usage and memory usage as well. Some of the awesome features that are included in this app are, heat generating app detection. In this step, the app will keep a check on the working of each and every app and with the help of the app usage data, it will find the app which is causing the heating. One tap cooling is also included. This is the only app that I am listing for the iOS users. There is a very strong reason for the same. In the iTunes store there are not many apps that actually work for the cooling of the iPhone. Clean Master is the only app to cool down iPhone. The main option that could promote the cooling of the iPhone is the cleaning of the RAM of the and increasing the computing power. You also can find the duplicate files existing on your phone’s memory. This will also give your phone a slight edge in terms of freeing the resources. 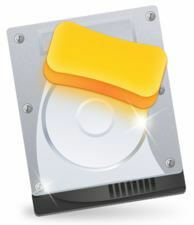 It serves as really good memory cleaner for the MAC. Uninstalling the apps could also free up some of the resource power from the iPhone of yours. This option is also added in the app. All these steps could ultimately leave some room to breath for your iPhone. It will also start adjusting itself with more power and computing resources.